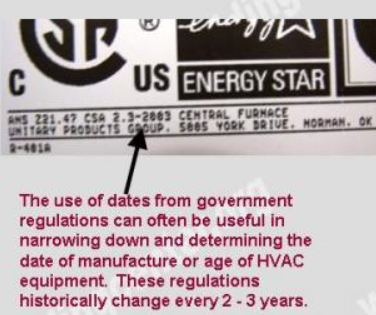 How to determine the date of production/manufacture or age of Alton® HVAC Systems. 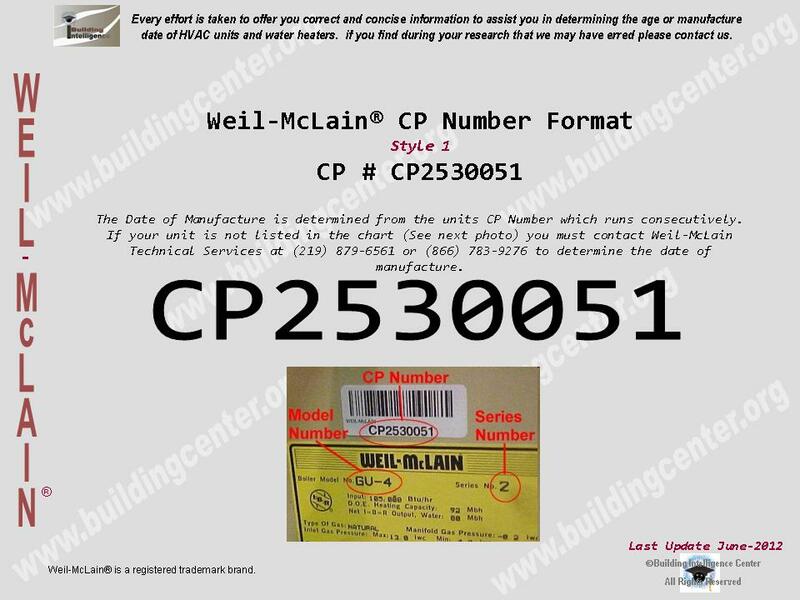 The date of production/manufacture or age of Weil-McClain® HVAC equipment can be determined from the CP/Serial number located on the data plate. Unfortunately we are unable to determine the date of manufacture or age of these units. The Date of Manufacture is determined from the units CP/Serial Number which runs consecutively. The CP #’s are commonly found on a separate tag or sticker apart from the typical data tag. We have included an abbrevbiated chart listing CP #,s from 1988 through 2009 (see below) for your convenience. 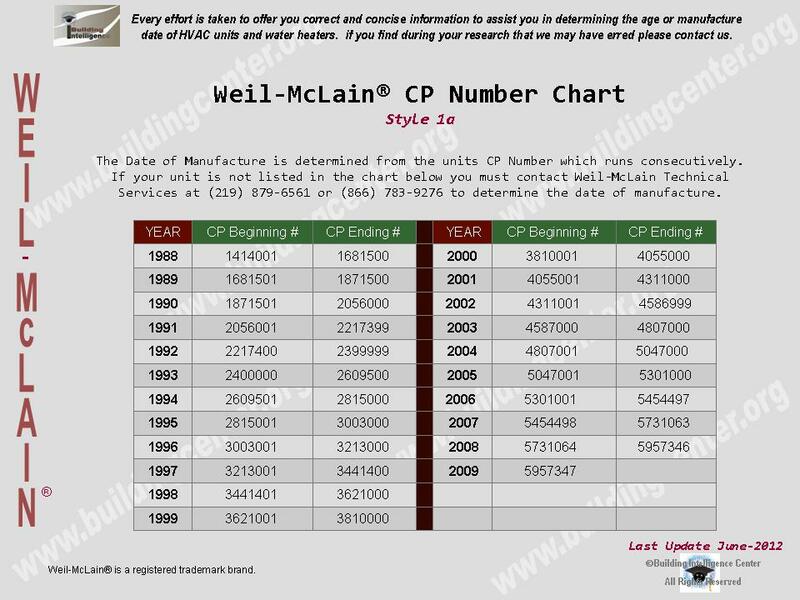 In addition Weail-McLain also has a CP # Look-up Tool available on their wesite. WARNING: NOT TO BE USED FOR OTHER Weil-McClain or Marley-Wylain Company brands. You can also use the ANSI or CSA standards to determine approximate Date of Manufacture. If you still require further assistance in determining age or manufacture date, contact Weil-McLain at -(219) 879-6561 or (866) 783-9276 and ask for Technical Services.